Do you see how handy this book might be? It gives me the leverage that Tyrion could never quite achieve over Cersei in “Game of Thrones.” It also might just win me wife of the year as if there is a sash or medal waiting in the wings because I know my hubby’s achilles heel and cheese, you are it. It gives me a secret weapon for guests who don’t believe in the power of a bowl of mac and cheese to loosen the tongue. For too long, macaroni and cheese has been synonymous with a blue box. Stiavetti and McCord help the reader make the shift. As Michael Ruhlman deftly cites in the foreword, “This cheap dinner in a box epitomizes the travesty of America’s processed-food industry and the damage it has wrought on the people who rely on it and on our land. 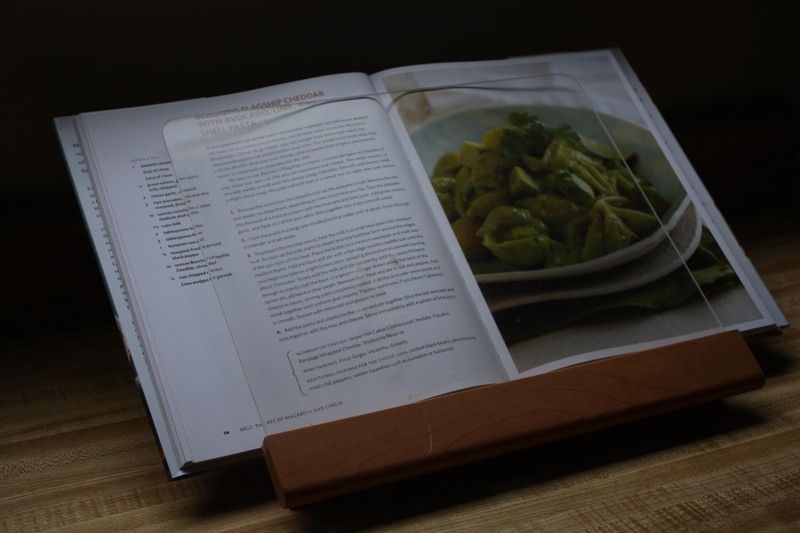 This book is a personal reminder to me to appreciate real food.” The cookbook talks about so many nuances of cheese-making and cheese culture in the United States. 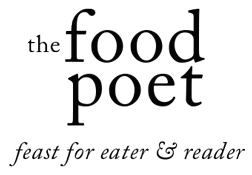 I particularly enjoyed the profile of one of my favorite Northern California food companies, Redwood Hill Farm. 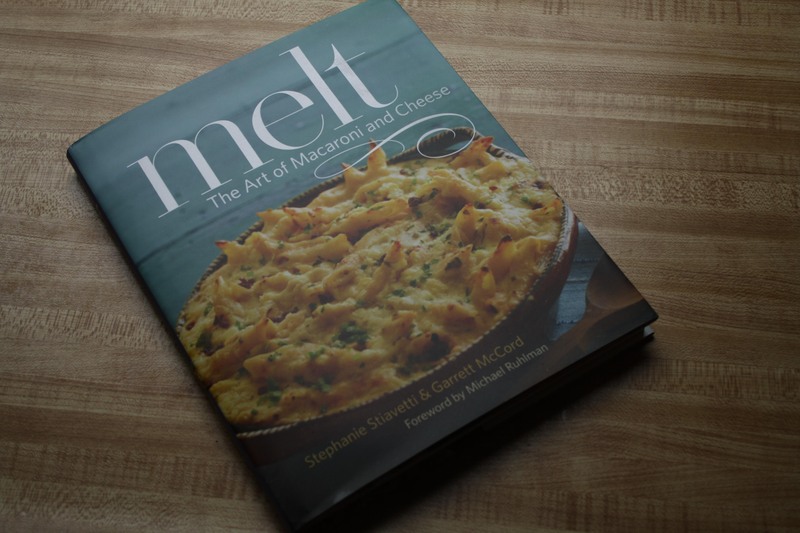 This book has been well named because it really does take into account the artistry of the cheese makers as well as pushing the limits of what constitutes a mac and cheese. You can tell quickly that these two know the names of their cheesemongers and give the kind of respect to artisan cheese usually reserved for the cheese board into the heavy bottomed pot of al dente pasta. 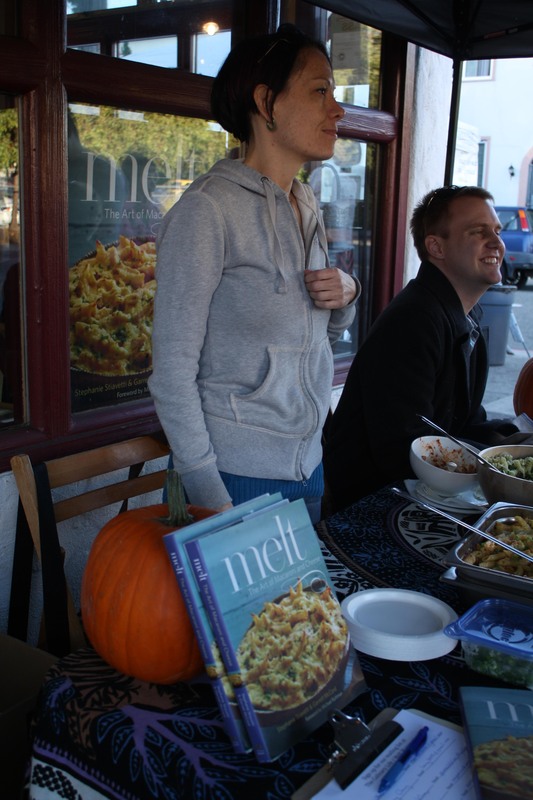 At the Oakland launch party of the cookbook this past weekend, we tried the Drunken Goat with Edamame, Fennel and Rotini salad (p 32) and found this pairing of macaroni and cheese light and refreshing. On the opposite end of the spectrum with bold, bright flavors, I spooned into the Lincolnshire Poacher with Cotija, Chorizo and Penne (p 114). After such dramatically different mac and cheese expressions, we couldn’t wait to sink our teeth into more mac and cheese. The problem consisted of where to start… So we bought Cabot Clothbound Cheddar at the Sacred Wheel Cheese Shop in Oakland in case we wanted to start out with what I’m lovingly calling Guacamole Mac and Cheese (Beecher’s Flagship Cheddar with Avocado, Lime and Shell Pasta) and picked up several hunks of Lamb Chopper cheese in case we decided upon making the Grand Ewe with Golden Raisins, Pine Nuts and Macaroni. Decisions, decisions. 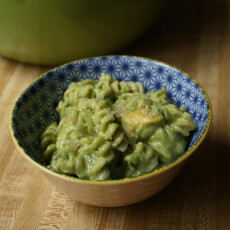 In the end, it might have been how the avocados almost sighed beneath my gentle squeeze that tipped the scale in favor of the Cheddar with Avocado and Lime Mac and Cheese. Spooned into small bowls, our late afternoon lunch reminded us of Sunday as the day to toss your cares aside. It tasted like a revelation with the creaminess and flavor of the avocado still detectable even as the tangy cheese shone through. I’d say we made a good choice. On Halloween, we are planning to make the Grand Ewe with Golden Raisins and after what we have tasted this far, I think the guests at our small fete will be infinitely happier with cheese than sweets. Even my sweet tooth can’t complain.